A silhouette that should be Ozorotteron and Akari was teased. Official announcement will be during the stream on September 6th so I wonder if other characters will appear too. Probably everyone who appeared in that episode. I hope Shion and Mizuki are in. Well, this was only a matter of time. I still haven’t watched past Aikatsu! s1, so while I’ve seen screenshots of this episode when it aired, I haven’t seen it myself yet. But seeing that episode always made me think they could use it in Cross Omega. Seeing all the more random things that managed to get in, Aikatsu was obvious as it’s a Bamco property too. I’m really excited. Now I only hope they negotiate with Takara Tomy and actually bring in Pretty Series with Pretty Rhythm. Pretty Series and especially Pretty Rhythm getting into a console Super Robot Wars is one of my biggest dreams.It has much more mecha elements than Aikatsu, which only has them during these “let’s film a drama/movie “episodes. Many of the Prism Jumps are on par or greatly superior than mecha attacks too, and multiple actual mechas appear in Pretty Rhythm as well. If Aikatsu gets in Cross Omega, I really hope Pretty Rhythm will be next, and further down the line appear in a console SRW one day. This entry was posted in Aikatsu!, Opinions on..., Pretty Rhythm and tagged Aikatsu!, Pretty Rhythm, SRW, Super Robot Taisen Cross Omega on September 5, 2018 by rockmanshii. Staff A, voiced by Shinichiro Miki: Boss! 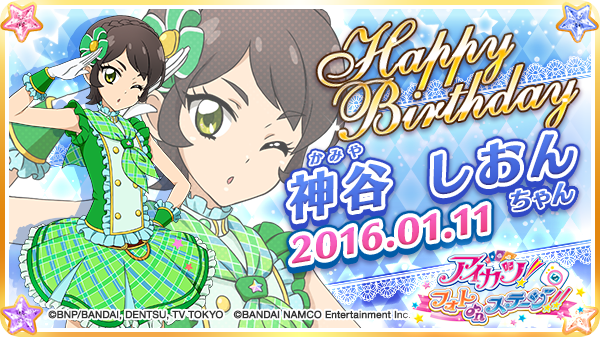 PriPara is murdering us and is everywhere!! Staff B, voiced by Nakamura Yuichi: At this rate Aikatsu! will die off! What are we gonna do?! Staff C, voiced by Sugita Tomokazu: Let’s just copy PriPara! Staff D, voiced by Nakata Jouji: TAWAKE! 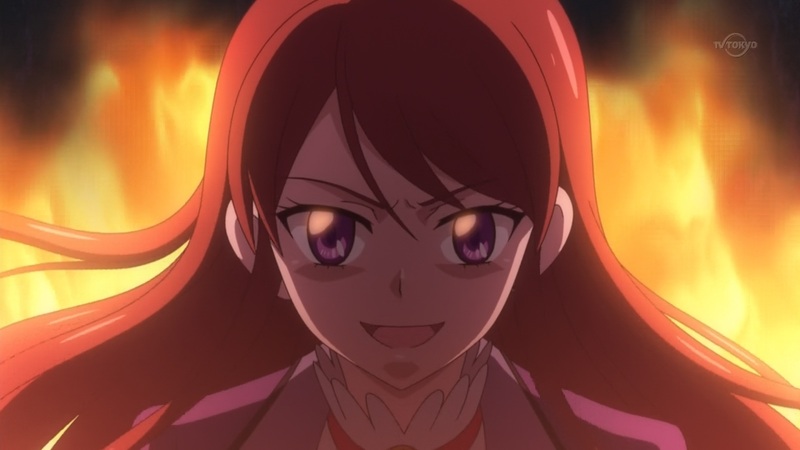 We already copied Pretty Rhythm with Aikatsu, the same trick won’t work twice! Staff F, voiced by Hayami Show: You don’t need to be a Jenius to know this. Staff G, voiced by Tsuda Kenjiro: I told you guys we should have stopped Aikatsu after s1 and made it into a little girls card game but you didn’t listen. By now we’d have stuff like BURU AIZU ICHIGO DORAGON!!! Boss Staff, voiced by Takehito Koyasu: Everyone shut up!! So what if this puny PriPara rules the market now? I’ll tell you what we’re gonna do. Aikatsu worked and was more popular than this stupid rhythm prism show. Aikatsu is eternal!! 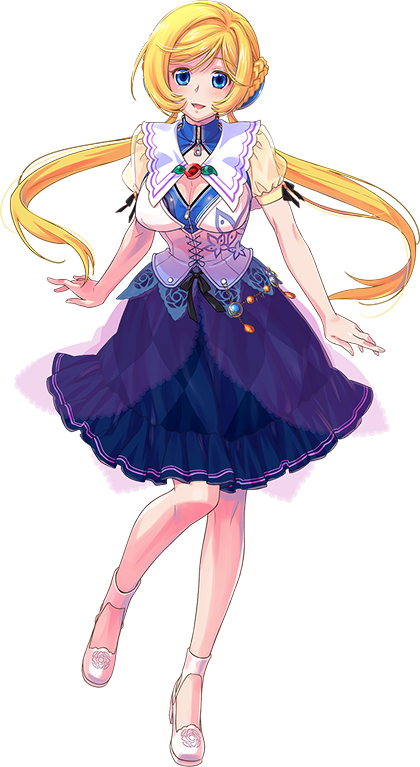 Aikatsu is MUGEN NO KANOSEI!! Thus, for the new Aikatsu, we will COPY AIKATSU!! LITERALLY NOTAOI, NOTICHIGO, NOTRAN AND NOTKII. THIS IS THE IDEA OF THE CENTURY. They even recycled the seiyuus too. Tadokoro Azusa/Aoi is voicing Notkii. Morohoshi Sumire/Ichigo is voicing NotAoi. AND OHASHI AYAKA/RAN IS VOICING NOTRAN. They aren’t even trying to hide the recyclage for her. It’s like they have no shame. I wonder if the seiyuus voices and singing voice will be the same for Aikatsu Stars. Not that I care anyway. This is so hilarious. 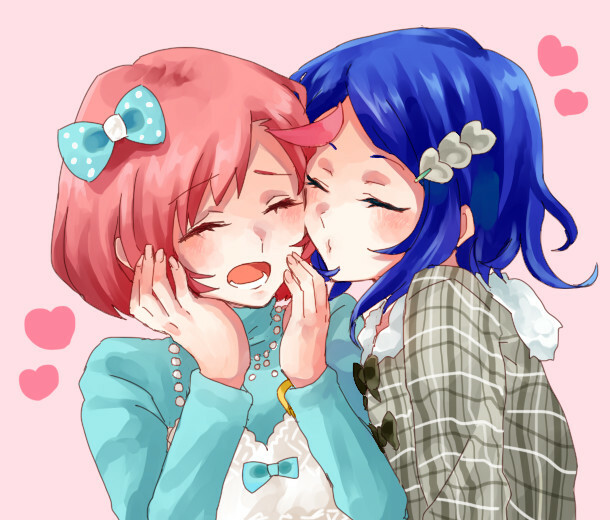 When I first saw this pic I genuinely though it was grown up Aoi Ichigo and Ran, and that they’re doing a timeskip. It was very low res pics so you couldn’t see the eye colors etc are different. And I guess I just thought Ichigo’s hair got lighter. But nope, they actually just recycled and mixed designs together. Blue hair horns got Seira’s ponytail and Aoi’s hair color, etc. I wonder how this will turn out. I stopped watching Aikatsu! after s1 and I don’t think I’ll watch Aikatsu Stars! either. So I’m kind of indifferent to these news. I don’t decide whether to watch a series or not based on character design, but I guess if I had to comment, I’m not fond of this new chara design. It’s trying too hard to be cute, something I reproach to many things these days. It’s the same thing I don’t like about Melua’s new face for OGMD. One of the things I liked about Aikatsu! is the character design. The characters don’t have ultra pale skin like stuff like Wake Up Girls, don’t have blush on every joints and cheeks like if they’re polishing their skin every morning like in Love Live, and they have noses. 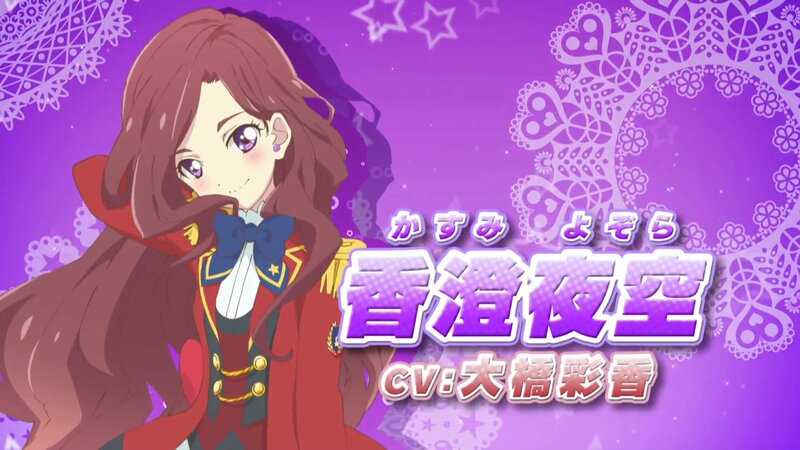 Even though I stopped watching Aikatsu, I slightly kept in touch with it, so I saw all the new characters are always super cute, like the Flamenco girl or Miyabi. It’s a real shame they changed the chara design. 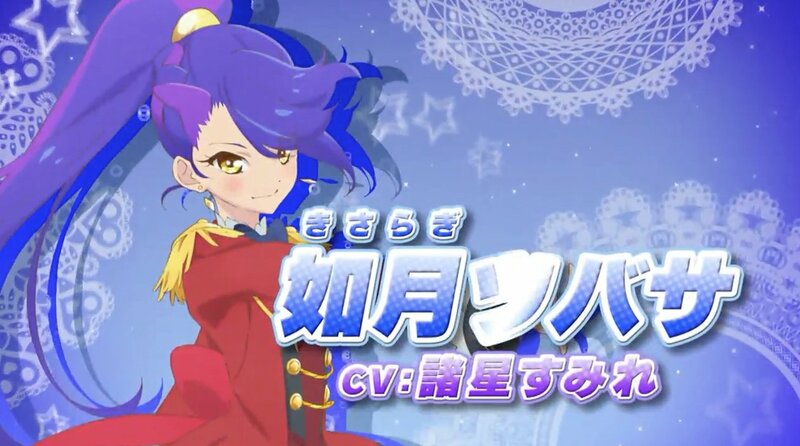 I’m not saying stuff like “Aikatsu is copying Pretty Rhythm again and doing stuff like adding a boys unit”, because while the pv says there’s a boys unit, we don’t know yet if they’ll be actual main characters like in Pretty Rhythm, or only appear every 10 episodes. Same with the S4 being potential rivals, we don’t know yet if there will be actual rivalry. And as this point, since they already copied Pretty Rhythm once anyway, you could just argue that instead of copying Pretty Rhythm, they’re just copying older shoujo shows like Pretty Rhythm did. They did copy stuff from PriPara for the game. 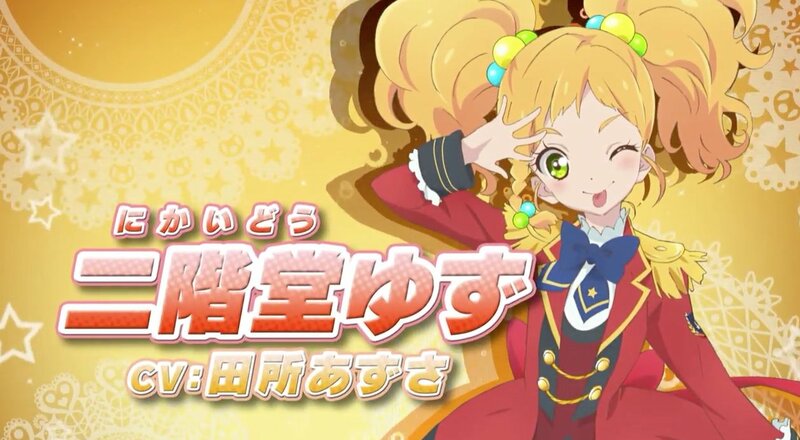 In Aikatsu Stars’ arcade game you’ll now be able to make your own character like in PriPara, and get customized cards. But I’ve always been reluctant of making some little girls angry and ruin their day. Maybe I’ll just put “this is a joke” on the collage. 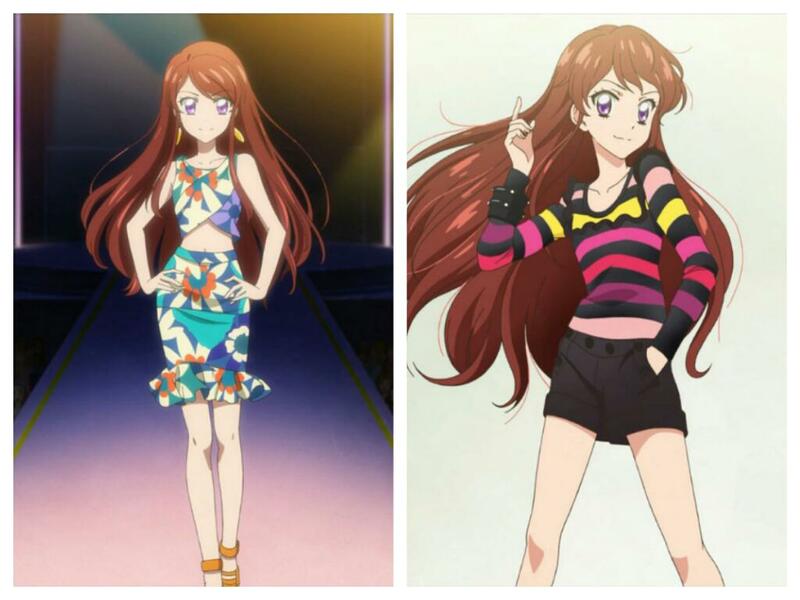 Or I should do a reverse psychology joke and say the collage is how Pretty Rhythm copied things from Aikatsu. This entry was posted in Aikatsu!, Opinions on... and tagged Aikatsu Stars!, Aikatsu!, Anime on February 27, 2016 by rockmanshii. Also David Bowie dying finally made me check whether Crystal Boy/Bowie in Cobra is a reference to him and it is. I’m not into music but it’s things important to know to understand Japanese culture more. This entry was posted in Uncategorized and tagged Aikatsu!, Anime, Cobra, David Bowie, Kamiya Shion, Kyougoku Takahiko, Love Live, Otobe Yoshihiro, Pretty Rhythm on January 11, 2016 by rockmanshii. Naru MMM37 san, veteran drawing puririzu fanart since Aurora Dream. Ann 江ノ内愛 san, another favorite. 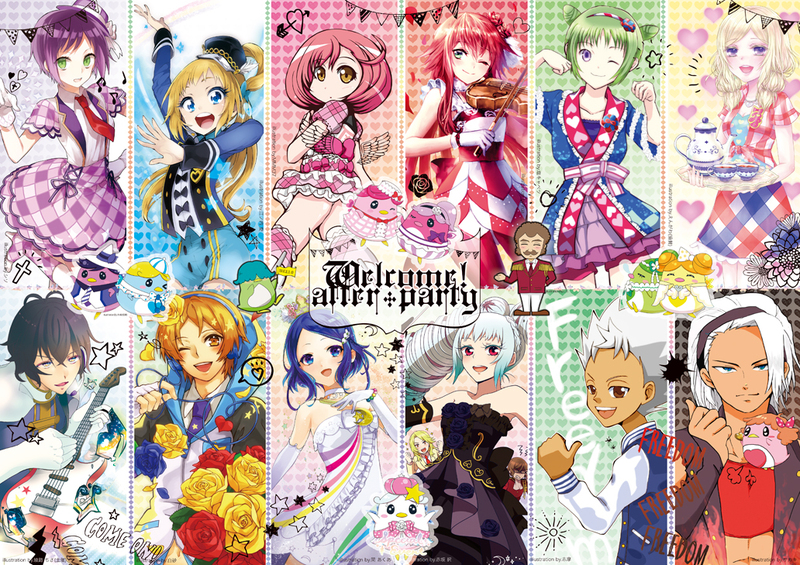 Fanart poster made by artists fans of Pretty Rhythm. It was displayed at the event along other fan creations. I’m not living in Japan, so I didn’t attend. I really wanted to go though, and am really interested about what happened there, so just like with the xmas event, I looked around 2ch about it. Someone nice wrote a report of the talk show part, and they also published something about the event on Animate. Been a while I wrote a long post like that. I read it because I’m interested in it myself and I know no one gonna translate it anytime soon. As it takes me some time to translate, writing things down is easier, so posts like these just come in naturally sorta. I’m reading and writing this first for myself. And more importantly, it’s fun. This entry was posted in Opinions on..., Pretty Rhythm and tagged Aikatsu!, Akao Deko, Anime, Hishida Masakazu, Iuchi Shuji, Matsuura Mai, Otobe Yoshihiro, PRAD, Pretty Rhythm, Pretty Rhythm All Star Selection, Pretty Rhythm Aurora Dream, Pretty Rhythm Dear My Future, Pretty Rhythm Rainbow Live, Prizmmy, Tsubota Fumi on June 6, 2014 by rockmanshii. The show rated pretty higher than usual in the vicinity of Tokyo.(Aikatsu! too) It was the week when episode 39 aired. It’s the first time I see the show in this ranking. Must be cuz of the live xmas event. And since it was xmas more kids watched TV. I guess there’s also the fact that kids with strict Japanese parents who usually won’t let them watch stupid cartoons on TV exceptionally let them do so for xmas. Tons of families watched cartoons together for the occasion. It probably dropped to the usual the week after. I don’t really care about anime TV ratings myself, especially since it’s used in trolling, and in many stupid internet arguments over anime these days. But still felt like talking about it this once since it seems they’re unusually high. Speaking of those, one of the things a typical girls sports show have that Rainbow Live lacks, is a DEMON COACH. A coach character who gives hellish training, but who’s actually nice in the inside, and does this only so his students can become the perfect athletes. Kei did the job perfectly in Aurora Dream, so it means they do know about the idea, but decided not to include the stereotype in Rainbow Live. 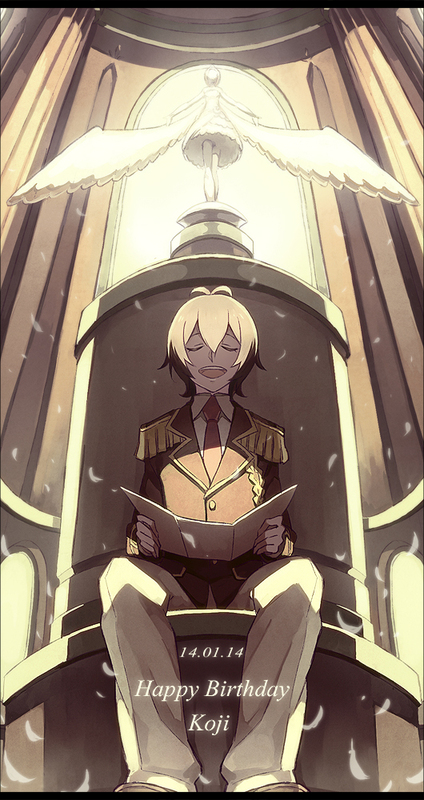 I guess Norizuki Jin could be considered as one, except he’s genuinely evil. And instead of throwing balls at your face, he’ll only throw some rose petals and expel you from Edel Rose. There’s still one cour left though so maybe we’ll get to see one. Now if we limit ourselves to Pretty Rhythm, I guess the character Kouji reminds me the most of is Shou. Shou used to design clothes for the girls. Kouji writes songs for the girls. Shou too had some serious issues in his romance with Aira, but in the end everything was their own faults. Sure, Yun Su complicated things in Dear My Future, but it stayed their problem and theirs only. In Rainbow Live, Ito and Kouji’s problems are their families problems. Their love is obstructed by things independent of them. 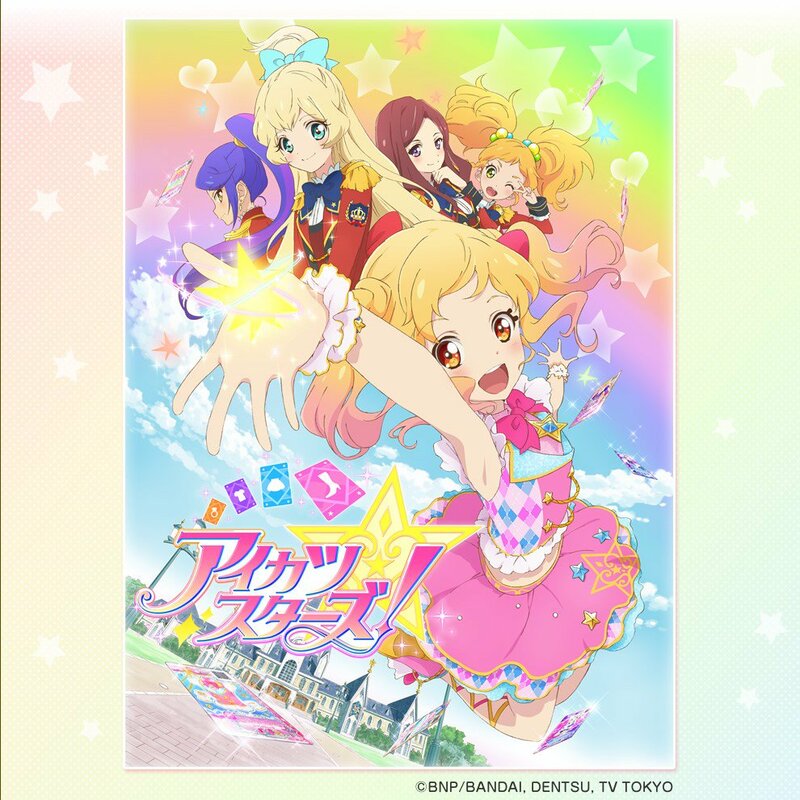 This entry was posted in Aikatsu!, Opinions on..., Pretty Rhythm and tagged Ace Wo Nerae!, Aikatsu!, Anime, Attacker You!, demon coach, Pretty Rhythm, Pretty Rhythm Aurora Dream, Pretty Rhythm Dear My Future, Pretty Rhythm isn't an magical girl anime, Pretty Rhythm Rainbow Live on January 14, 2014 by rockmanshii. All the characters will still be present, plus two new characters and rivals. They’ll probably add a few more later. This entry was posted in Aikatsu!, Opinions on... and tagged Aikatsu!, Anime, Pretty Rhythm on August 17, 2013 by rockmanshii.